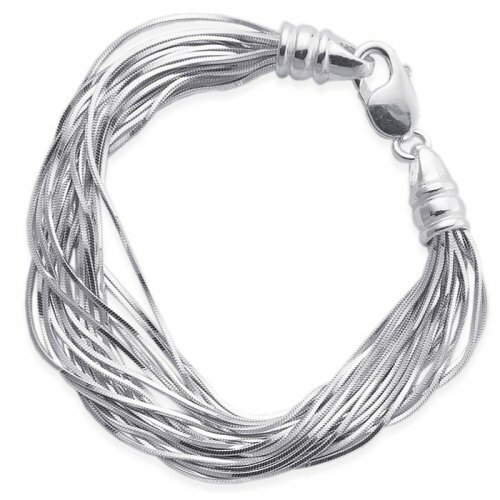 This versatile sterling silver bracelet features multiple strands of chain, giving it a look similar to liquid silver that's ideal for elegant occasions. Style this chain either twisted or untwisted for two looks in one. A matching necklace is also available. If you have any questions about this product by qPentacles, contact us by completing and submitting the form below. If you are looking for a specif part number, please include it with your message.